So that probably could have gone better for the Los Angeles Lakers. Reportedly, anyway. Despite having Adam Levine and Snoop Dogg as part of their pitch to Portland Trail Blazers free agent big man LaMarcus Aldridge, Yahoo! Sports/FOX Sports 1 NBA insider Adrian Wojnarowski reports that the Lakers failed to make a "strong impression" on Aldridge — and that leaves the door open for the San Antonio Spurs to put their best foot forward. Missing out on Aldridge wouldn't be the worst thing in the world, as there are other big-name free agent bigs available, such as DeAndre Jordan and Greg Monroe. But Aldridge might be the best of the bunch, and it can't feel good that the Lakers reportedly missed on their primary target. 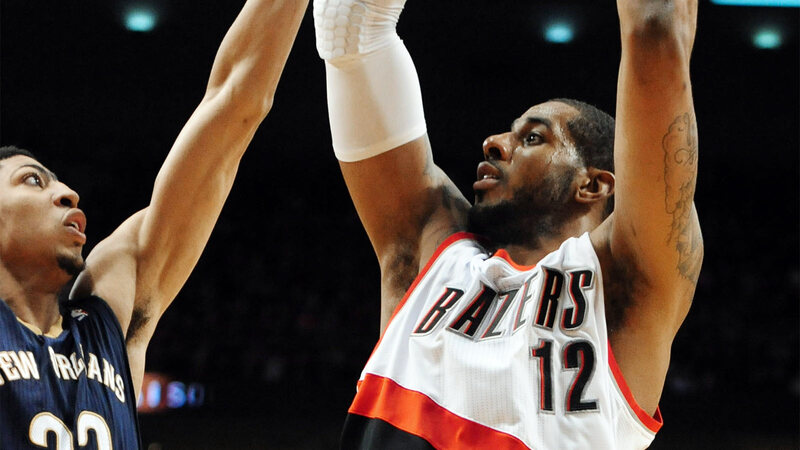 Lakers didn't make strong impression in Aldridge meeting, sources say. Spurs can close on him. LMA expected to make decision fairly soon.